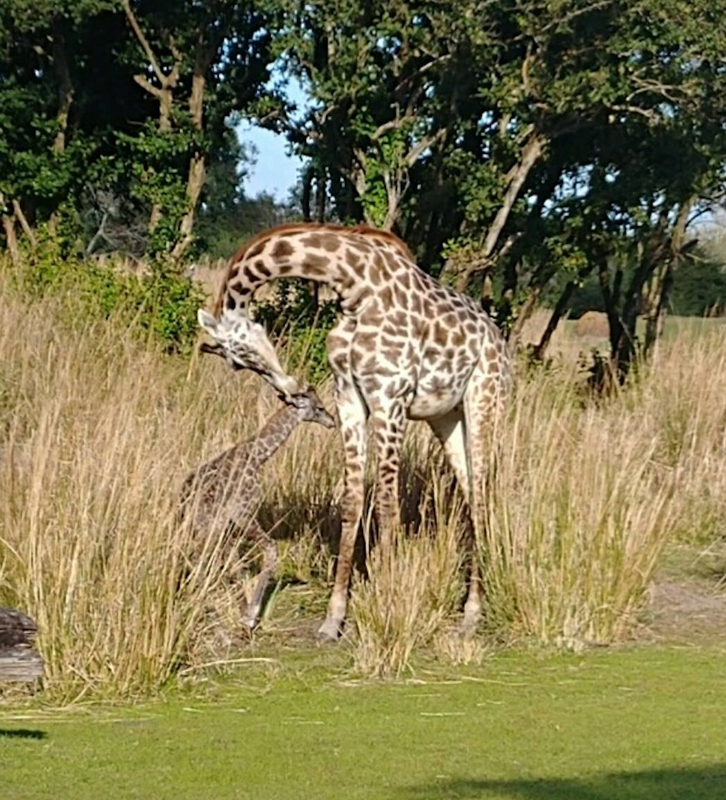 Disney’s Animal Kingdom welcomed another baby Masai giraffe to the herd. The young calf made their grand arrival on Monday afternoon on the Kilimanjaro Safari Savanna. Disney’s Animals, Science and Environment shared the exciting news on their Facebook page. On Monday afternoon, a new baby Masai giraffe was born at Disney’s Animal Kingdom. 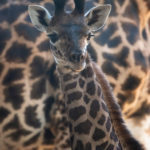 This calf is the third Masai giraffe to join the Animal Kingdom family within the span of a year. Masais are found primarily in Kenya and Tanzania and they are considered a vulnerable species. There are believed to be roughly 32,000 Masai giraffes left in the wild. Sadly, their population continues to decline because of poaching and habitat loss. 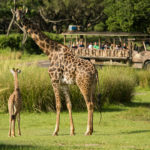 Fortunately though at Disney’s Animal Kingdom, the Masai giraffes are protected, healthy, and thriving. 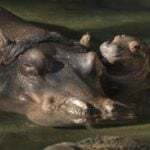 Aella made her “on-stage” debut back in August of 2018 joining her parents on Kilimanjaro Safaris. In November, Disney Parks Blog invited fans to vote on a name for the newest Masai giraffe. 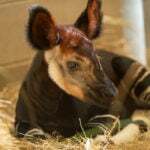 The most popular name choice was Amira which translates to “princess” in Swahili.